In 2000, Rapper 50 Cent was shot on a Queens street and left for dead. Soon thereafter, his career was left for dead when his label, Columbia, dropped him. Other companies wouldn’t sign him for fear of losing their investment to another would-be assassin’s bullets. Only Violator Management CEO Chris Lighty would help. The artist manager nursed 50’s career back to health with strategic mix tape salvos and reassuring meetings with skittish record executives. Lighty ultimately signed 50 Cent to Eminem and Dr. Dre’s label ventures, assuring his client’s alignment with the most powerful creative and commercial forces in hip-hop. As 50’s single “In The Club” became an iconic hit, Lighty looked for ways to extend his client’s earning potential and increase his assets: a record label, G-Unit; a sneaker line with Reebok; a clothing line with Mark Ecko. But Lighty’s coup de grace was his quick-thinking placement of a bottle of Vitaminwater in a 50 Cent advertisment for Reebok. Lighty’s old friend from Sprite, Rohan Oza, was Vitaminwater’s new marketing chief. Oza saw the commercial, took it as a strong signal from Lighty, and set up a deal that reversed, again, the traditional order of the artist-corporate relationship. 50 Cent didn’t want an endorsement deal. He wanted to invest. 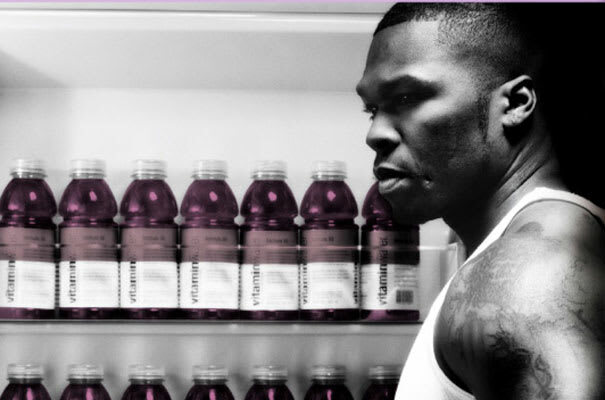 Although the fine points of the 50 Cent-Vitaminwater pact remain shrouded, it is thought that 50 Cent owned a 10 percent stake in parent company Glaceau (excluding the shares owned by the Indian conglomerate, Tata). It’s clear that 50 Cent got a sizeable payout when Glaceau was sold to Coca-Cola in 2007 for $4.1 billion. While early reports put 50 Cent’s take at $400 million, his real take-home was likely between $60 to $100 million. But 50 Cent’s involvement makes the Glaceau-Coke deal the most auspicious in hip-hop history, not just for the dollar amount, but for the fact that a rapper—armed with nothing but the power of hip-hop—was able to partake in a transaction of such gargantuan proportions.